Things you can drink, from water to wine. 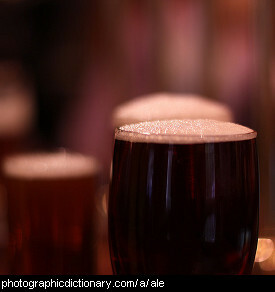 Ale is a similar drink to beer but is darker, heavier and more bitter. 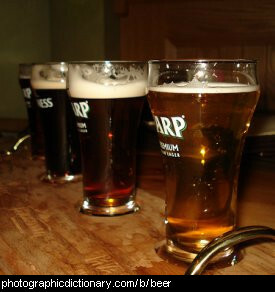 In some countries, ale is simply another word for beer. Beer is the oldest alcoholic drink and the third most popular drink after water and tea. 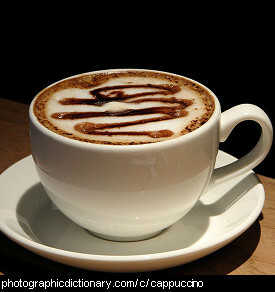 It is made from fermented grain, the most common being malted barley. Beer is usually flavoured with hops. 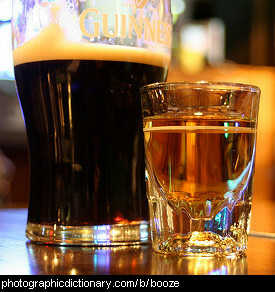 Booze is a slang term for any alcoholic drink, particularly whiskey. 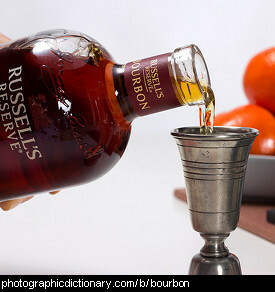 Bourbon is a kind of whiskey made in the United States, usually from corn. 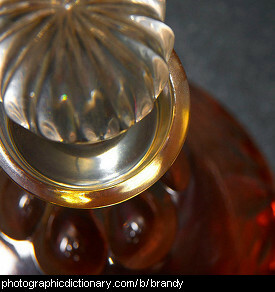 Brandy is a spirit made by distilling wine. Brandy is usually 35-60% alcohol. 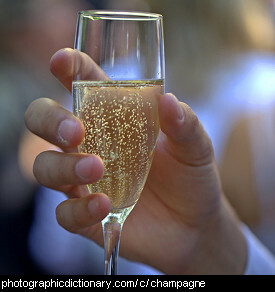 Champagne is a kind of white, bubby or sparkling wine produced in the Champagne region of France. In some countries, champagne can be used to mean any kind of sparkling white wine. 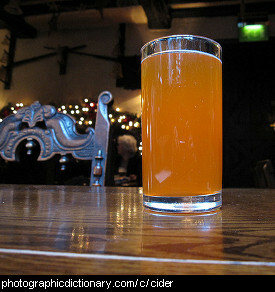 Cider is a drink made from fermented apples. Cider can be alcoholic or not. Cider can range from a pale yellow, clear drink right through to a darker yellow-brown cloudy drink, depending on how it was filtered. The majority of ciders have bubbles added to them, to make them sparkling cider. 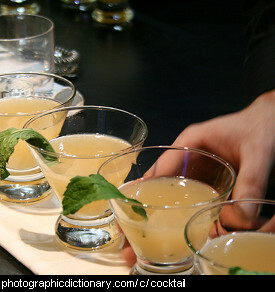 A cocktail is an alcoholic drink with two or more ingredients. 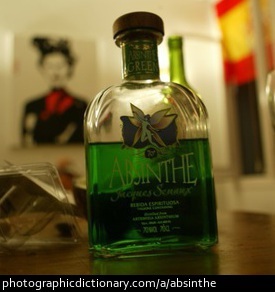 At least one of the ingredients is a strong, highly alcoholic beverage, and cocktails often contain 'mixers' like lemonade or fruit juice. Cocktails are seen as a 'fun' drink and are often brightly coloured, and can be served in glasses decorated with pieces of fruit, small umbrellas or, as in the picture, herbs like mint leaves. Different mixes of cocktails are often given interesting (and sometimes embarrassing) names.